Arsenal started even slower than Milan this season, and have had their share of injury woes, too. I suppose you could say that they are correlating sides in their respective leagues, only Milan never had a defeat quite like the 8-2 drubbing that Arsenal took from Manchester United earlier this season, nor have they had a victory quite like the 7-1 victory Arsenal gave to Blackburn just over a week ago. Despite all of their troubles, however, they have managed to claw back up the Premier League table to a very respectable 4th place, and they are in great form right now. Yay. Dancing duo? Or double threat? When they defeated Sunderland 2-1 on the weekend, Wenger deployed a 4-2-3-1 starting lineup of Szczesny; Sagna, Mertesacker, Koscielny, Vermaelen; Song, Arteta, Rosicky; Walcott, Oxlade-Chamberlain; Van Persie. Mertesacker was injured, leaving some to speculate that Vermaelen will be moved over to center back and either Coquelin or Gibbs to start at left back. 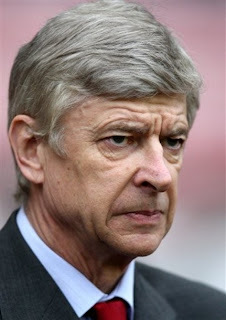 Also, Wenger should have Gervinho back from the African Cup of Nations. And with his subs being Arshavin, Henry, and Ramsey (the latter 2 who scored the goals and the first with one of the assists) in that match, he’s certainly got plenty of options. 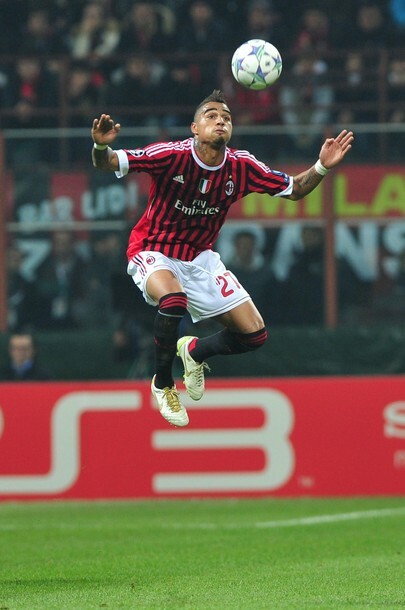 Milan have finally got a few options, with the return to training of Nesta, Pato, Boateng, Aquilani, Flamini, and Yepes. The last three are not expected to be available for Wednesday, but Nesta, Pato, and Boateng are hopeful. Abbiati is also a possibility to be fit, although Amelia is in great form should he not be risked. So Allegri could have the possible starting lineup available: Abbiati; Abate, Nesta, Silva, Mesbah; Emanuelson, van Bommel, Nocerino; Boateng; El Shaarawy, Ibrahimovic. And if that’s the case, I like our chances. But our chances are also based on fitness and form, and some of the players may be only used as subs due to fitness. The game will likely be played at a fairly quick tempo, as Arsenal prefer a quick passing game and are able to maintain the tempo. But we have seen that before and been able to match it. Also, they have a bit of pace on the flanks, so it will be important to keep them in check. Arsenal’s defense is their weakest spot, and if Milan are in form, we might also just be able to stop the EPL’s leading scorer, van Persie, as well as the legendary Henry. With our leading players in attack, and home field advantage, we might just have the edge in this leg. If we are healthy. And it will be very interesting to see how the matchup of Wenger, whose middle names are youth and subs, and Allegri goes. Can Allegri outsmart the wisdom of Wenger? It's hard to pull one over on this one. One thing is for sure, the world will be watching the San Siro stage on Wednesday as our teams perform the beautiful dance that is football. At the end of the performance, we can hope for a great result, and pray for no more injuries. (It is the San Siro, after all.) Even with a win at home, Milan will face a bigger challenge in 3 weeks on the return leg to London. Only then will the final curtain call be taken, and I hope that it is Milan who will be the stars of A Midseason’s Night Dream. This game will be shown on FSC in the U.S.